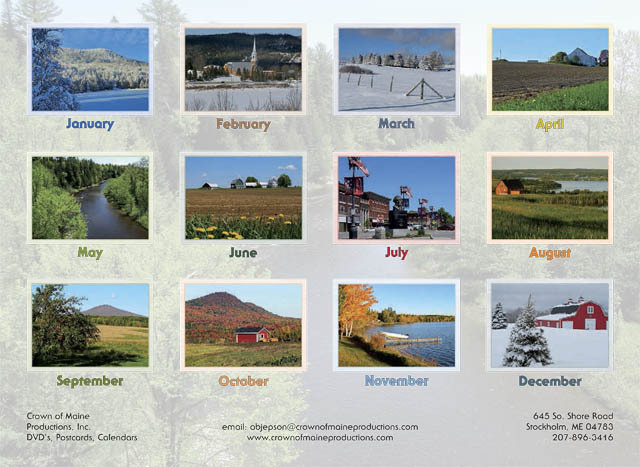 This year is our 10th edition of the Aroostook Calendar! 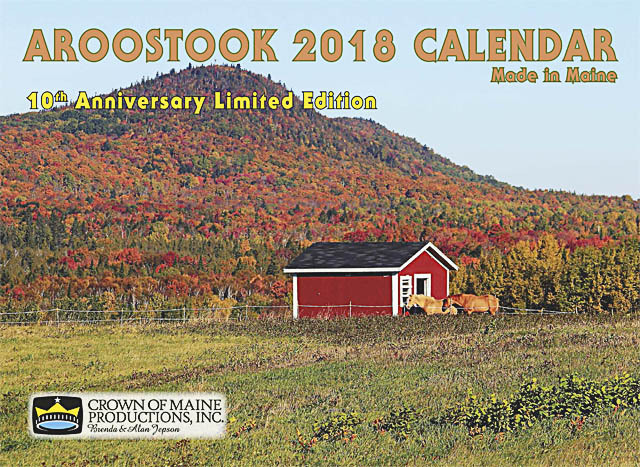 It captures nostalgic and beautiful scenery that can still be seen in Aroostook County – from a classic barn and potato rows in spring to horses in the field in fall, and from idyllic lakeside and river scenes in summer to snow frosted trees winter. Stunning scenery from southern Aroostook to The Valley reflects the unique geography and way of life in this special corner of Maine. Includes a map of Aroostook marked to show where these beautiful locations can be found. Makes a great gift to be enjoyed all year long! Only 14.95. 06.11.17 9:42 Design and hosting by WilliamLDuncan.com ©2017. Content ©2017 Crown of Maine Productions, Inc.